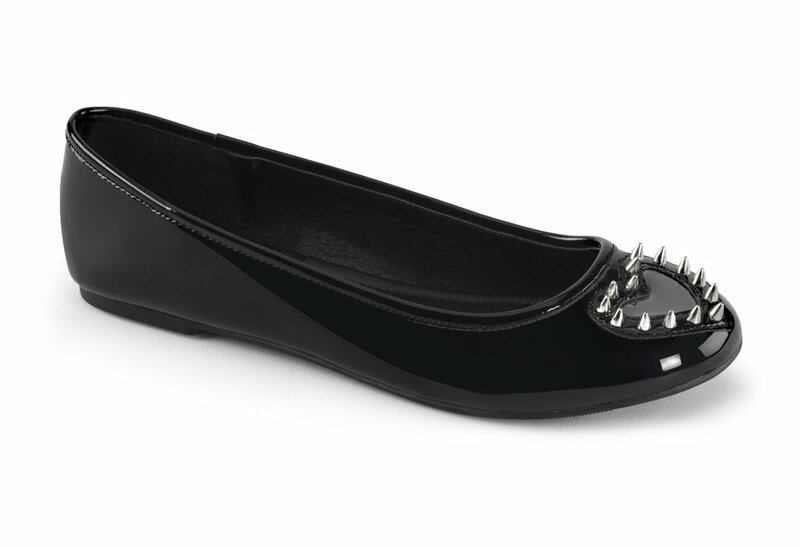 Black patent single sole ballet style flat shoes with a round toe and see through heart cutout design. 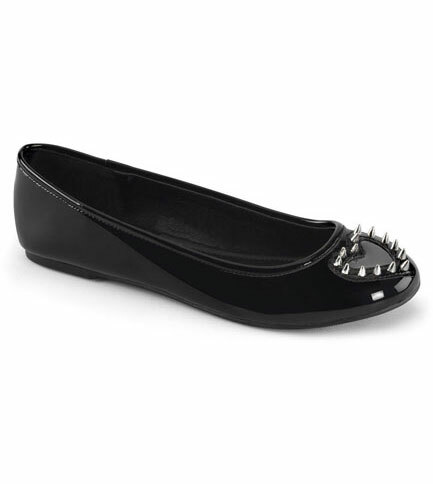 The shinny black polished surface of these shoes perfectly accomplishes the chrome colored spikes that encircle the cutout heart on the toe. Made from all man made materials these flats are vegetarian friendly.